These Freshebuds have host of design and functionality features that are meant to make them higher quality that the other offerings that Freshetech has though are they worth the price? Let me get into that below. In the box, you get the headphones themselves and 3 different sized ear tips for finding the best fit. You also get 3 different sized of ear wings included along with a micro USB cable for charging. When I first saw their pictures I was a bit sceptical on how they looked but once I actually got to see them in person I was pleasantly surprised. When worn the earbuds do sit out a little but that doesn’t detract from the comfort. The comfort is very good thanks to them being quite lightweight and the overall design and fit of the earphones themselves. They are definitely capable of staying in place even when doing a tough and strenuous workout which is great. The wiring has a flat designed cable which prevents it from getting tangled which is nice. They are also fully waterproof which makes them ideal for outdoor activity and exercise. 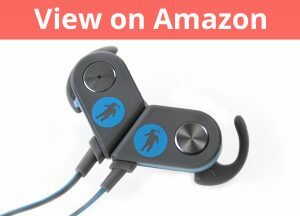 There is no power button on them, how you power them on is by connecting the 2 earbuds back to back using the built-in magnets. This does seem cool at first but it can also cause problems if you like to leave your headphones around your neck when you aren’t using them – a slight touch can turn them on which is problematic. There is no inline controller everything is controlled by on the earbud themselves which is good from the point of view there is weight to the wire and that’s partially why they are comfortable to wear, though having the buttons there like that can be a bit of an annoyance and they can be quite finicky to use. The sound quality was decent, it wasn’t anything spectacular but if you are coming from the like of Apple earphones they are going to seem like a significant jump up in terms of overall quality and fidelity. They also have great sound isolation – better than most other earbuds at this price point. They use Bluetooth 3.0 and the connection is good at close range though it may stutter 1-2 times an hour roughly when doing a tough workout. The range though wasn’t that good and realistically you will need to keep your phone close to allow them to work as intended. Battery life is brilliant and lasts about 10 hours which is amazing for a pair of earbuds like these. Overall these headphones have some great features and some problems. 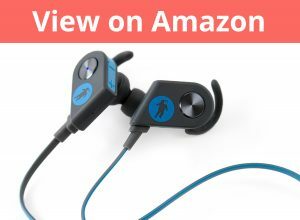 They have decent sound quality, are fully waterproof, long lasting battery life, though the range is not great and the power button functionality simply isn’t intuitive and can cause problems turning on the earphones on accidentally. Overall, they are a decent buy if you can get them on sale but I can’t recommend them for their usual asking price.